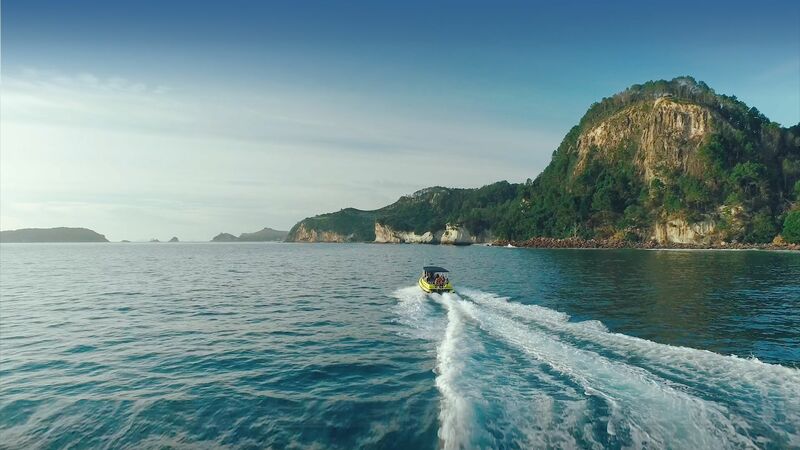 Ocean Leopard Tours Cathedral Cove Boat Tour Whitianga – Ocean Leopard Boat Tours offer scenic Coromandel and Whitianga boat tours with experienced guides. Based in Whitianga, Coromandel our scenic boat cruises showcase Mercury Bay’s stunning coastal paradise. We’ll take you on a journey to explore beautiful beaches like Hahei and Lonely Bay, as well as the Te Whanganui a Hei Marine Reserve. You’ll see towering rock pinnacles, volcanic blow holes, abundant marine life, huge sea caves and of course, the world famous Cathedral Cove. Ocean Leopard Tours departs daily from Whitianga and Ferry Landing, a short drive from Hot Water Beach. When looking for things to do in Coromandel, look no further than a Cathedral Cove boat tour with Ocean Leopard Tours.